A program of the Harold Grinspoon Foundation and The Jewish Federation of Sarasota-Manatee, LIFE & LEGACY’s mission is to support the future of our Jewish community for generations to come. Whatever you cherish most about Jewish life: learning, community, worship, social justice, support for Israel, or caring for those in need; by leaving a legacy, you help ensure that the things you value most are sustained for generations. Our Legacy Society Members are people like you. As the only local Jewish organization focused on the entire Jewish community, we are the area’s center of Jewish life. By leaving a legacy to Federation, you ensure that your values will be sustained for future generations. 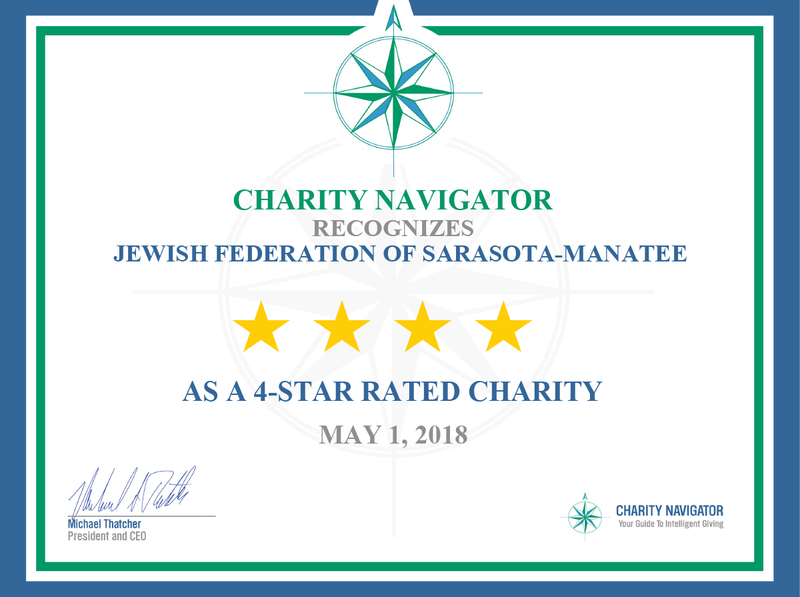 Please remember The Jewish Federation of Sarasota-Manatee with a gift in your will, trust, retirement account or life insurance policy. CLICK HERE and start planning today to help assure Jewish tomorrows. For information on other Sarasota-Manatee area LIFE & LEGACY™ partners, please click HERE.